Fueled by job creation and a low unemployment rate, Utah’s up-and-coming business enclave is attracting tech giants and start-ups alike. How a legacy of entrepreneurialism is powering the hottest boomtown in the West. The etching of Provo, Utah, a “strange little port settlement,” shows long, rectangular buildings that form a square around settlers and wagons. The drawing, which appeared in an 1858 edition of Harper’s Weekly, displays Provo as a chunk of civilization in a wilderness dominated by forests and mountains. A spirit of entrepreneurialism drove settlers to Utah Valley in the mid-1800s, and that spirit lingers today. It’s this drive, says Dixon Holmes, deputy major of economic development for Provo, that has made the city one of the best American cities for businesses and start-ups. The city is in the process of adding another advantage to its repertoire. Google Fiber, a high-speed Internet connection available in only a handful of cities across the United States, is being connected throughout the city. Google Fiber spokeswoman Jenna Wandres discusses how the network came to Provo and what happens next. Provo was the third metro area, after Kansas City, Missouri, and Austin, Texas, to accept Google Fiber’s proposal to set up shop. It was the second to start receiving service. “They beat Austin,” Wandres says. Google wanted to bring Fiber to places with a strong spirit of entrepreneurialism, hoping that the fast connection drives business-minded individuals to create new applications. “We think they’ll help build the future of the Internet,” Wandres says. Provo began development of its own fiber-optic network, iProvo, in the late 1990s. The city owned the network and leased it out to providers for more than a decade. Eventually, city leaders realized that wasn’t an efficient model and started accepting proposals to change it, culminating in a 2008 sale that was met with widespread criticism. On April 17, 2013, Google and Provo announced that Google had purchased iProvo to transform it into a one-gigabit network—100 times faster than the speed available to most US Internet users today. The following week, Provo’s city council unanimously approved the sale. Google bought iProvo for $1. Google divided the city into seven sections—called “fiberhoods”—and is connecting them piece by piece. Individuals can sign up online by a deadline dependent on their fiberhood, and a technician will come out to install it. Wandres says Google should be able to connect all seven fiberhoods by the end of 2014. Provo residents and businesses can choose from three plans. The first option is to use the fiber for free on a slower broadband connection. Users of this service pay only a $30, one-time hook-up charge, which gives them access to free broadband for seven years. The second option, at $70 per month, is Internet-only access to the one-gig Google Fiber connection. The third offers hookups for TV and Internet and costs $120 per month. 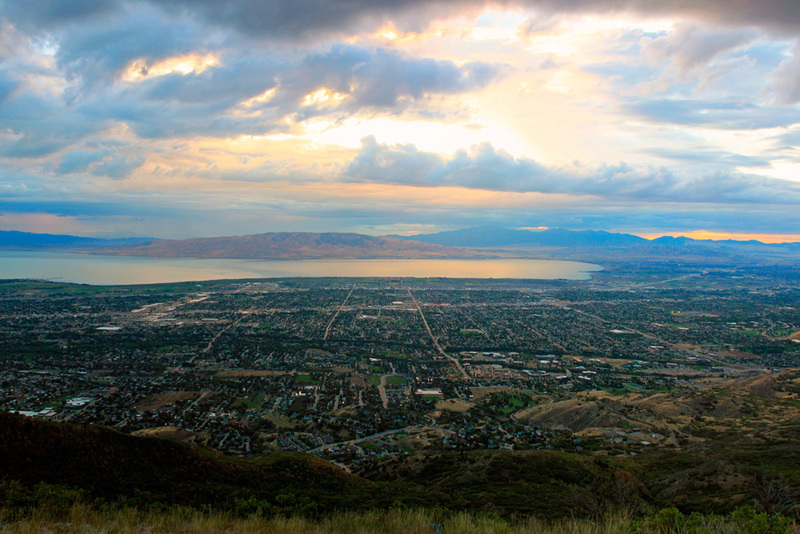 Forbes ranks Provo number one on its list of Best Places for Business and Careers. The nearby Brigham Young University campus, a 2.5 percent projected annual job growth through 2014, and a tradition of start-ups that began as university research all factored into this decision. And with an authentic downtown and postcard-worthy wilderness just a drive away, Provo’s idyllic setting is no longer a well-kept secret. Holmes says the major obstacle he faces is finding space and loans. Provo’s metropolitan area is already crowded, and lending is still tight as the country recovers from the recession. As the economy continues to improve, though, this tension could ease, and new space should enter Provo’s market soon. It’s still occasionally a hard sell to convince companies that Provo is the best option, Holmes says. Utah Valley is well established as a haven for businesses, but Holmes has to convince people to choose Provo over other cities in that area, such as Lindon or Orem. Provo is the largest, and a new initiative is giving Holmes another selling point for businesses to choose Provo over its neighbors: Camp 4, a building and a service envisioned and developed for Provo’s entrepreneurs. Housed in Startup Candy Factory, Camp 4’s home base inadvertently gives a clue to the program’s intentions. Built in 1900 by William Startup, the historic building, which still houses the candy shop, is also home to a private incubator space for young entrepreneurs. Several individuals from BYU, the city, and local businesses came together to create Camp 4. The exposed brick and plank flooring give the space an edgy, modern feel. Individuals with laptops and business plans in hand can use the designated floor in the renovated warehouse whenever they feel a need, but Camp 4 has grown to much more than that: A group of local artists meets there on a monthly basis to talk about the pros and cons of making a living in the art world. DevMountain offers a coding boot camp. There’s the occasional yoga class, memorial service, or wedding reception. And on one of the floors, individuals can pay a monthly fee to secure their own desk space. The building acts as a business haven and community center, though Camp 4 will likely become even more business-centric in the future. Entreprenuers have a number of resources in Provo that can’t be found elsewhere or are extremely rare: the new Google Fiber network, the economic development office, and Camp 4 are just a few examples. But before an individual reaches the point at which they can benefit from these things, Holmes has a few pieces of advice. “Just make sure there’s a market for what you want to do,” he says. That may seem obvious, but Holmes adds that it’s easy to find people who say they will buy your product. Businesses need to figure out early on how to monetize their offerings. If they can do that, the market will support it. Holmes doesn’t try to discourage entrepreneurs, but often the best advice he and his office provides is to talk would-be entrepreneurs out of starting a business if they’re not ready. Once they’ve thought it through or found a market niche, he encourages them to return. Usually, it’s the market that flushes out businesses that aren’t prepared, and that can be a long fall. In Provo, they’ve built an entire network designed to support them.